Home Uncategorized	A4A Blog Carnival | Day 3 Challenge Accepted! A4A Blog Carnival | Day 3 Challenge Accepted! I am participating in wegohealth.com’s Advocating for Another (A4A) Carnival – Parenting Edition. This is a month long event where health and parenting advocates write, share and enjoy! The FB page can be found here for more info + grab the parenting prompts here and join in! The blog carnival runs from August 21-28, 2012. Parenting isn’t all sunshine and ice cream – it’s hard. 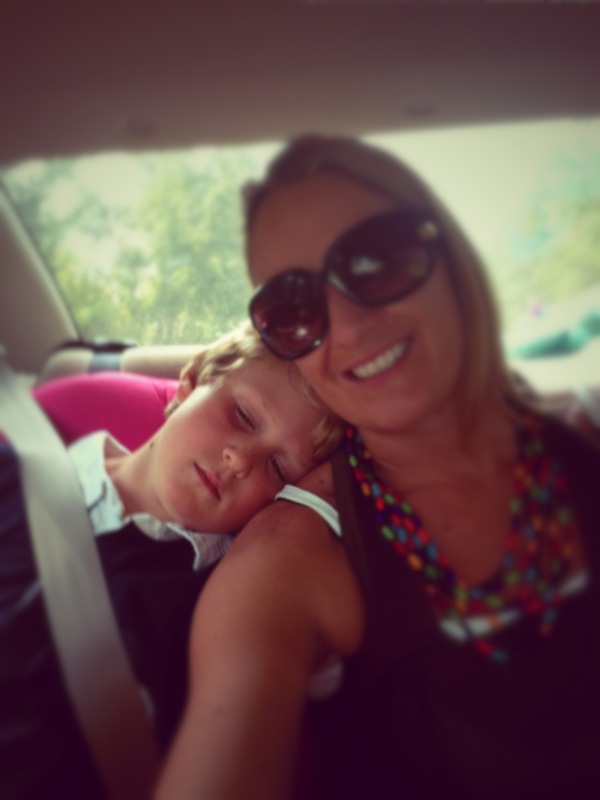 Write a post that delves into 3 challenges that you face as a parent. Parenting is sometimes the most natural, easy thing in the world and the other 95% of the time its just straight up hard. After thinking about this post for quite a while, I feel like my role as Ethan’s mother is as close to being on a theme park ride as any other metaphor I can come up with. Your family is doing great, the dynamics are awesome, everyone’s getting along, making progress and then you hit the depths of tantrums and emotions take over. Such good times! Like most two parent families, Dave and I are different in every way it is possible for two humans to be exact polar opposites. This is a good thing, but it often makes getting on the same page about our son a bit of a challenge. Dave prefers to take a hardline approach with everything, whereas I’m more apt to pick my battles. This is a reflection of a different upbringings on opposite sides of the world. I would love more Southern manners out of Ethan, a little bit of “Yes Ma’am, no Sir” goes a long way in my book, however Ethan is far too high strung to use black and white tactics with him 24/7. I am naturally pushy, competitive and self-motivated. I am a perfectionist with high expectations so I really struggle with the amount of pressure I put on E. I find it even harder considering his obvious talents in certain areas. He is a boy who will quite easily cruise along achieving ‘acceptably’ without a firm kick in the pants now and then. How firm and how often is up for debate! The flip side is of course, that though it is important to set the bar high, it is also important for kids to learn to aim high of their own volition and achieve without the ever-watchful gaze of mummy or daddy bearing down! The single child quandary is one that is taking up quite a bit of head space at the moment. I know E would quite obviously benefit from a sibling (I think!) but I’m just not sure if I personally want to go back to baby phase. Selfish I know, but the one child policy works for me right now. Again, this is another issue that divides the parenting cohesion between Dave and I! What are some of your own challenges with parenting/step-parenting or whatever your situation may be? Off to the Race Track!